Simple setup: Square Point of Sale is designed to get your stall (and staff) up and running quickly. Our point-of-sale is designed for ease of use, including drag-and-drop items, categories and endless customisation possibilities. This means there is less chance for human error when processing a transaction. Greater accuracy means smarter inventory management, cost controls and business efficiency. 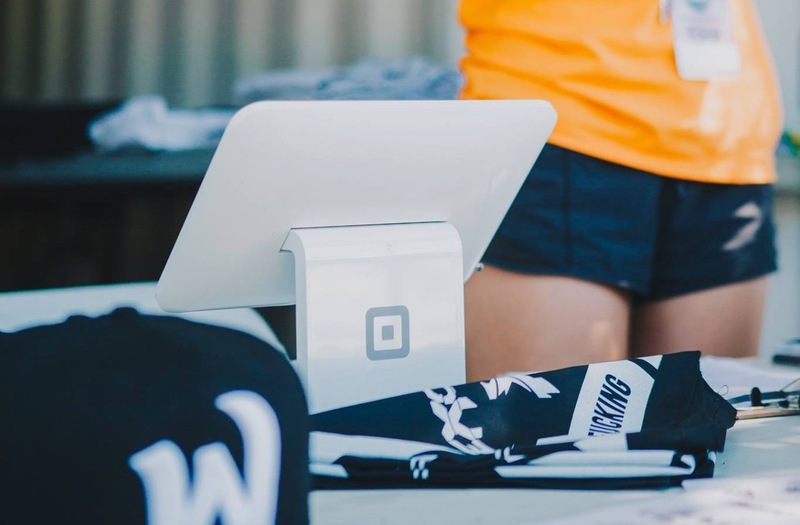 Adaptability: Whether you’re a market retailer, a food truck owner, a tradesperson or a designer, Square Point of Sale has the tools to serve your specific business needs. Accepting a small volume of payments from your smartphone? The Square Reader for chip cards is small enough to fit into your pocket. Expecting a busier trading day? Connect the Square Reader for contactless and chip wirelessly via Bluetooth LE, and process speedy tap-and-go transactions from cards and mobile wallets. Speed: Long queues are the bane of a busy small business and can have a negative impact on your customers’ experience. Simple item modifiers (extra onions, extra bacon, etc.) make it easy and efficient to get your customers’ orders just right, while ensuring that your checkout process is always speedy. Integrated payments: There’s no need to set up a separate payment processing account or merchant facility. Square Point of Sale and Square Reader enable you to accept credit and debit card payments while you’re on the go. Get the hardware you need to take payments anywhere your customers are. Security: Running a cloud-based POS is as simple as it is secure, as logins are tied to your own self-nominated credentials. Advanced security features like two-factor authentication and employee access controls can also be enabled so you can select which staff can access your confidential business information. Powerful business insights: When the busy day is over, you can log in to your Square Dashboard from any computer or mobile web browser. Using new customer information and sales reports by item, you can see what’s working and what ares of the business may need some attention. Filter your sales reports by employee, location or device to dive into the detail, create revenue-per-labour-hour reports to assess your staff performance, or review core multi-unit reports that your accountant will love. Remote control: Using Square Dashboard, you can monitor your business and work from anywhere. Edit your menu, approve employee timecards and set prices for different locations, even while you’re offsite. You’ll see Square at music, food and cultural festivals across Australia this events season, including Brisbane’s Beer InCider Experience, Canberra’s Spilt Milk, and Pinot Palooza which tours across most major capital cities during October. Find out more about Events by Square and learn about how you can sell on the move.